Round 9 most important game was a victory of Tigersharks over 4th placed Defenders 79-76 on Friday night. It ended at the same time the two-game winning streak of Defenders. They outrebounded Defenders 55-36 including a 43-28 advantage in defensive rebounds. 28 personal fouls committed by Defenders helped opponents get some easy free throw opportunities. It was a good game for center Martevuius Adams who led his team to a victory with a double-double by scoring 27 points and 13 rebounds. 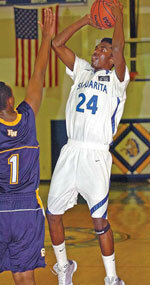 point guard Francis Arana (-97) contributed with 15 points, 5 rebounds and 5 assists for the winners. American center Nigel Jones (201-90, college: Talladega) answered with a double-double by scoring 23 points, 10 rebounds, 4 assists and 4 steals for Defenders. Both coaches used bench players in such tough game. Tigersharks (5-4) moved-up to third place, which they share with Smart Belize H. Defenders at the other side dropped to the fifth position with five games lost. Tigersharks is looking forward to face Red Bandits (#6) in Belmopan in the next round. Defenders will play at home against the league's second-placed Dream Ballers and are hoping to win this game. An interesting game for Verdes (8-1) which hosted in second-best Dream Ballers (6-3). First ranked Verdes managed to get a 5-point victory 94-89. 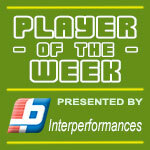 American point guard Kris Frazier (201, college: Peru St.) stepped up with a double-double by scoring 33 points (!!!) and 13 rebounds (on 13-of-16 shooting from the field) for the winners and Richard Troyer chipped in 34 points (!!!) and 6 rebounds. The best for the losing side was international guard Edgar Mitchell (-93) with 20 points, 5 rebounds and 5 assists. Verdes have an impressive series of seven victories in a row. They maintain first place with 8-1 record. Dream Ballers at the other side keep the second position with three games lost. Verdes will play against bottom-ranked Running Rebels (#7) in Belize City in the next round which should be theoretically an easy game. Dream Ballers will play at home against Hurricanes (#3) and it may be a tough game between close rivals. The game in Belmopan was also quite interesting. Third ranked Hurricanes (5-4) played at the court of 6th ranked Red Bandits (2-7). Hurricanes managed to secure a 9-point victory 85-76 on Thursday. Glency Lopez nailed 22 points, 6 rebounds and 7 assists for the winning side. Jevonte Hughes came up with 19 points and 5 rebounds for Red Bandits in the defeat. Both coaches tested many bench players which allowed the starters a little rest for the next games. Defending champion maintains third place with 5-4 record having just three points less than leader Verdes, which they share with San Pedro T. Loser Red Bandits keep the sixth position with seven games lost. Hurricanes will meet league's second-placed Dream Ballers in the next round and it will be for sure the game of the week. Red Bandits will play against Tigersharks (#4) in San Pedro and it may be a tough game between close rivals. Round 9 most important game was a victory of Tigersharks over 4th placed Defenders 79-76 on Friday night. It ended at the same time the two-game winning streak of Defenders. They outrebounded Defenders 55-36 including a 43-28 advantage in defensive rebounds. 28 personal fouls committed by Defenders helped opponents get some easy free throw opportunities. It was a good game for center Martevuius Adams who led his team to a victory with a double-double by scoring 27 points and 13 rebounds. Point guard Francis Arana (-97) contributed with 15 points, 5 rebounds and 5 assists for the winners. American center Nigel Jones (201-90, college: Talladega) answered with a double-double by scoring 23 points, 10 rebounds, 4 assists and 4 steals and forward Farron Louriano (198-89) added 10 points, 10 rebounds and 4 blocks in the effort for Defenders. Four Defenders players scored in double figures. Both coaches used bench players in such tough game. Tigersharks (5-4) moved-up to third place, which they share with Smart Belize H. Defenders at the other side dropped to the fifth position with five games lost. Tigersharks is looking forward to face Red Bandits (#6) in Belmopan in the next round. Defenders will play at home against the league's second-placed Dream Ballers and are hoping to win this game. The game in Belmopan was also quite interesting. Third ranked Hurricanes (5-4) played at the court of 6th ranked Red Bandits (2-7). Hurricanes managed to secure a 9-point victory 85-76 on Thursday. Hurricanes dominated down low during the game scoring 64 of its points in the paint compared to Red Bandits' 42. International guard Glency Lopez (-97) nailed 22 points, 6 rebounds and 7 assists for the winning side and international guard Devin Daly (195-94, college: L.Superior) accounted for 18 points. American center Jevonte Hughes (196-93, college: Charleston) came up with 19 points and 5 rebounds and forward Kevon Laurie added 13 points and 12 rebounds respectively for Red Bandits in the defeat. Both teams had four players each who scored in double figures. Both coaches tested many bench players which allowed the starters a little rest for the next games. Defending champion maintains third place with 5-4 record having just three points less than leader Verdes, which they share with San Pedro T. Loser Red Bandits keep the sixth position with seven games lost. Hurricanes will meet league's second-placed Dream Ballers in the next round and it will be for sure the game of the week. Red Bandits will play against Tigersharks (#4) in San Pedro and it may be a tough game between close rivals. An interesting game for Verdes (8-1) which hosted in second-best Dream Ballers (6-3). First ranked Verdes managed to get a 5-point victory 94-89. 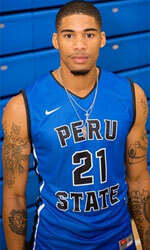 American point guard Kris Frazier (201, college: Peru St.) stepped up with a double-double by scoring 33 points (!!!) and 13 rebounds (on 13-of-16 shooting from the field) for the winners and the former international forward Richard Troyer (196-84, college: Utah Valley) chipped in 34 points (!!!) and 6 rebounds. The best for the losing side was international guard Edgar Mitchell (-93) with 20 points, 5 rebounds and 5 assists and international guard Daniel Conorque (193-91, college: Pima CC) scored 18 points, 5 rebounds and 6 assists. Four Dream Ballers players scored in double figures. Verdes have an impressive series of seven victories in a row. They maintain first place with 8-1 record. Dream Ballers at the other side keep the second position with three games lost. Verdes will play against bottom-ranked Running Rebels (#7) in Belize City in the next round which should be theoretically an easy game. Dream Ballers will play at home against Hurricanes (#3) and it may be a tough game between close rivals.